Pets make a fun addition to engagement photo shoots. You've got your engagement photos scheduled and you want to make them a little, well, extra. It's hard to go wrong by choosing a location that's meaningful to you as a couple and incorporating things you love to do together. If you're struggling to brainstorm here are three fun themes you can use to infuse your photos with your personality. Maybe you're a Gator and he's a 'Nole and the most frequent argument in your marriage will be which team is better. Show off your team spirit — it's okay, we know your team is truly the better one — by wearing team gear for your engagement photos. Of course, you won't want to do all your engagement photos in Gator gear, so bring it as a fun wardrobe change option to add an extra dose of personality to your engagement photo shoot. Fido is family, too, so why not include him in your engagement photos? 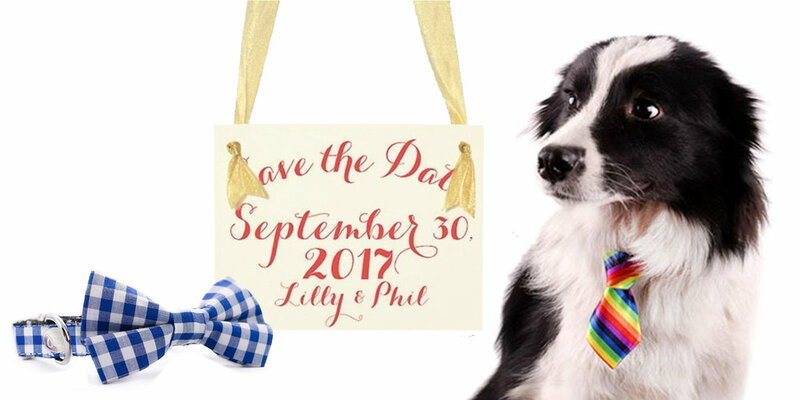 I love working with pups and love it even more when they're spiffed up with a cute tie or help you create fun save the dates by wearing a sweet sign. It's good to not have your pup there for the entire shoot, so enlist a family member or friend to dogsit after Fido's done making his cameo in your photos. Being in front of the camera isn't always comfortable and having something to do other than just pose is a good way to ease into your photo shoot. Pack a picnic and give your shoot some style — and give yourselves something to do with your hands. Just be sure to pack sparkling cider, because no one looks cute when they're tipsy in photos!